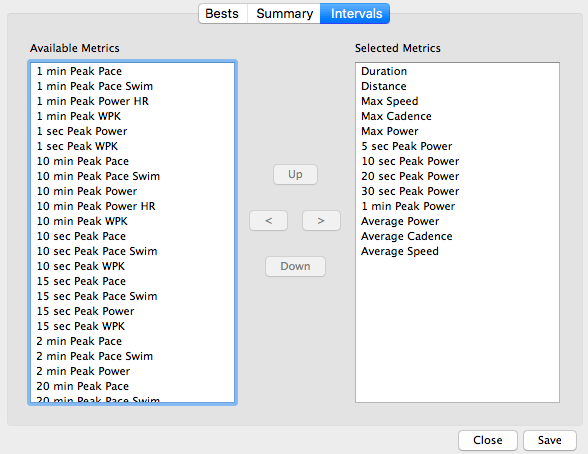 GoldenCheetah allows you to customize various metrics (aka data fields) to be displayed or hidden. Depending on training objectives and equipment types (power meter, cadence/speed sensors), you may wish to customize the data field visibility. It is not apparent to many where this data is shown. This quick tutorial, based on V3.3, hopefully bridges the gap. Three different tabs control the visibility of these data fields. 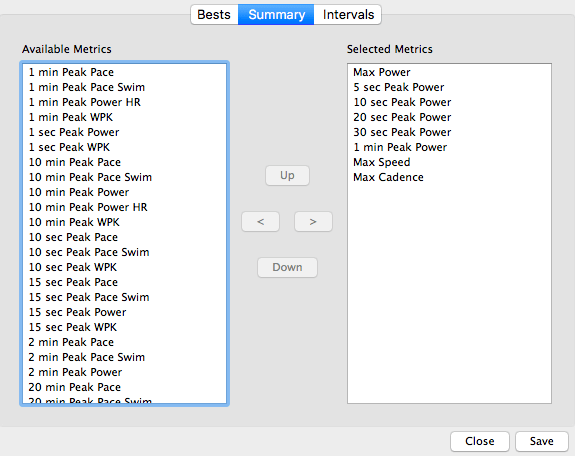 Note some versions of Golden Cheetah may need to closed and reopened before changes kick in. Speeding for sure, but done on rollers!